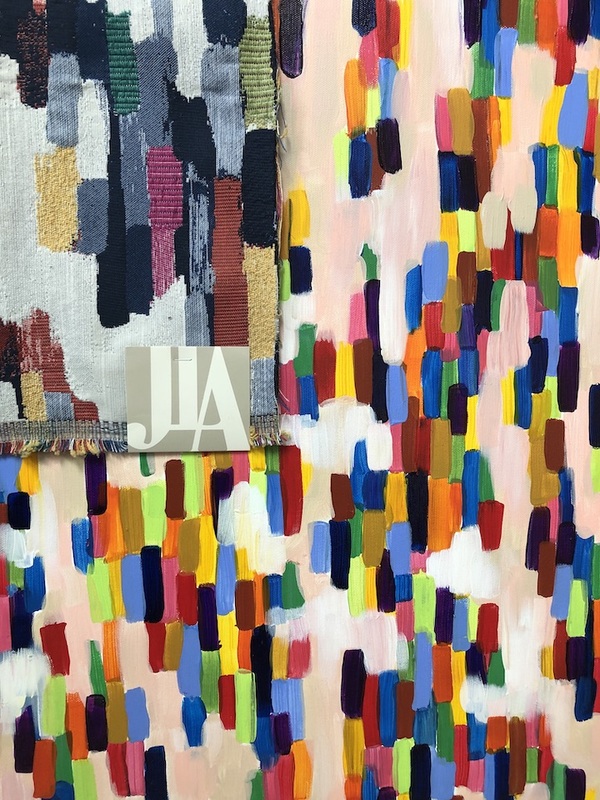 JLA Fabrics, a leading textile designer and producer, is unveiling at ITA Showtime its new Curate Collection inspired by original artwork from local non-profit The Arc of High Point. The Curate Collection debuting at ITA Showtime, Dec. 2-5, with two upholstery fabrics inspired and designed from paintings by local artists at The Arc of High Point’s Creative Arts Studio, a High Point, N.C.-based advocacy organization for people with intellectual and developmental disabilities. 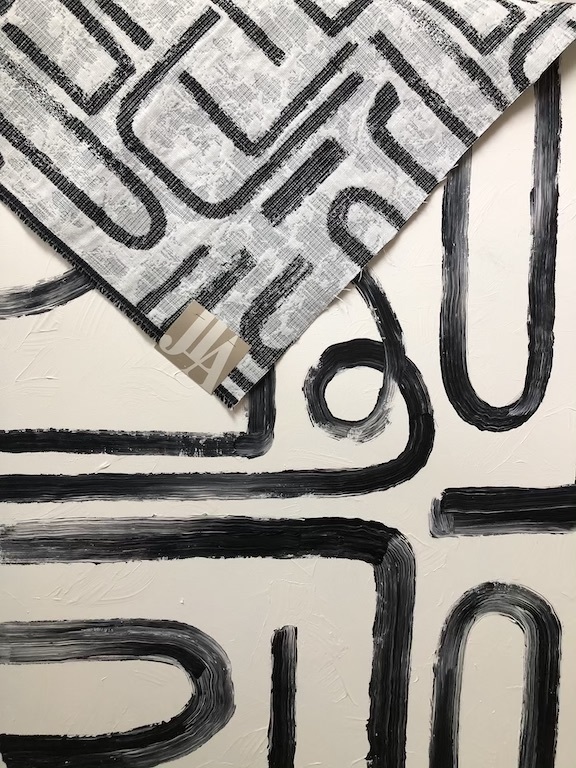 “The collaboration between JLA Fabrics and The Arc of High Point is new for both of us, and this season’s introductions are just the beginning of our vision to spotlight truly inspiring art from local talent,” said Mike Grimsley, vice president of sales for JLA Fabrics. Curate premieres with a few fabrics this season, including Impasto and Convex. Named for the process or technique of layering paint on thickly, Impasto was designed from the artwork of Brandi and will be offered in seven color ways. Convex will be available in eight color ways and originates from the artwork of Melissa, whose painting was done in black and white. The idea to collaborate with The Arc of High Point came from JLA Fabric’s director of design and product development, Allison Hocker, who joined the company last year. 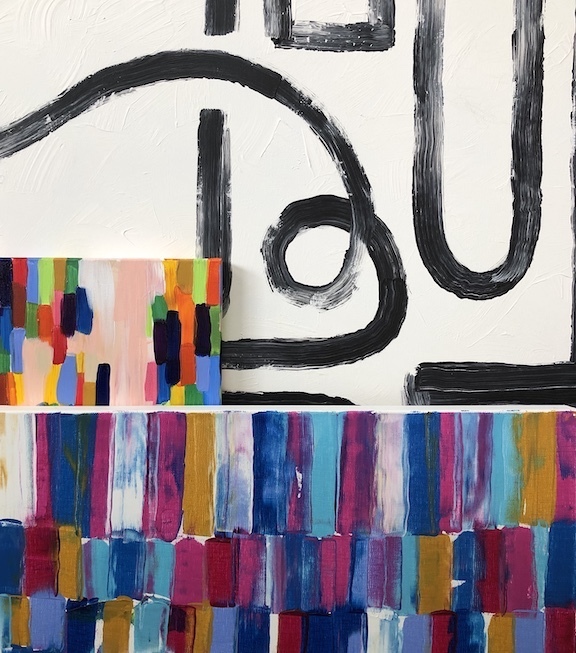 She and JLA Fabric’s co-director of design, Alana Hernandez, visited The Arc of High Point, reviewed the work of several artists to get a feel for their style and preferred techniques, and then offered some art direction for the commissioned artwork. 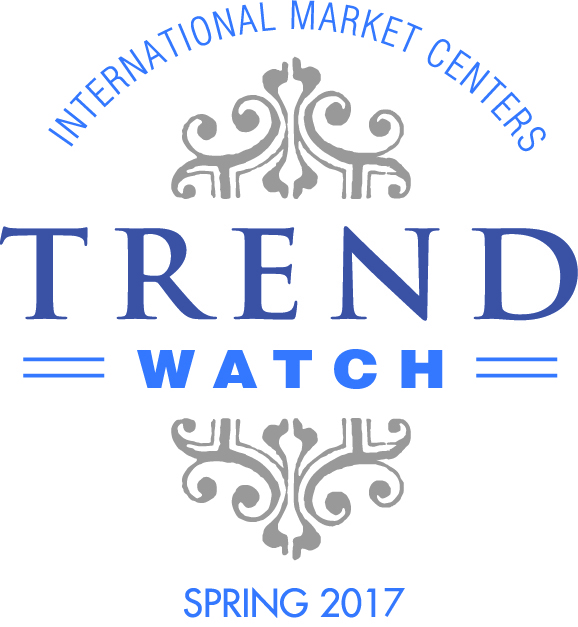 JLA Fabrics will feature Curate in an art gallery presentation during Showtime at the front of its showroom on the 9th floor of Market Square Textile Tower.